Nothing particularly festive about this, other than the fact that it’s a Bank Holiday. Hurrah! And a particularly lovely one at that, which means only one thing – barbeque and dips. 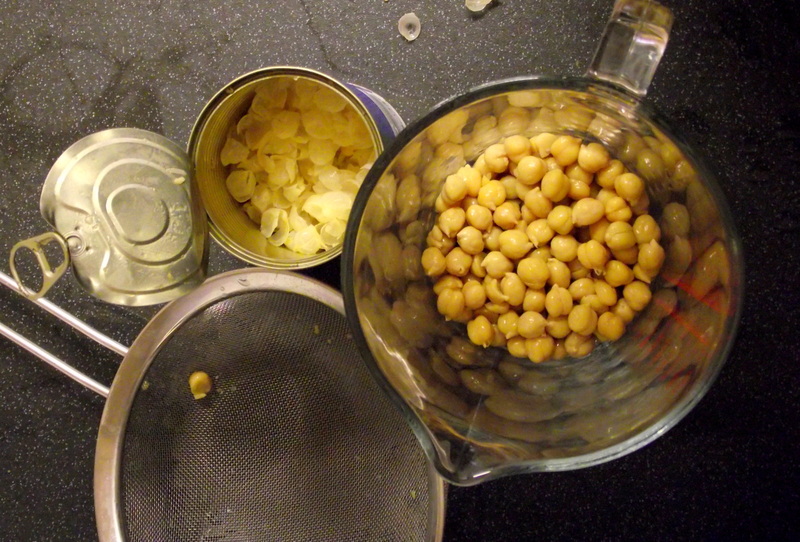 Hummus is piss easy to make but I am going to ask you to do one slightly tedious thing – peel your chickpeas. All of them. This might sound stupid but it will honestly take only 10-15 minutes and will make your hummus super silky smooth. Worth it. 1. Peel your chickpeas. 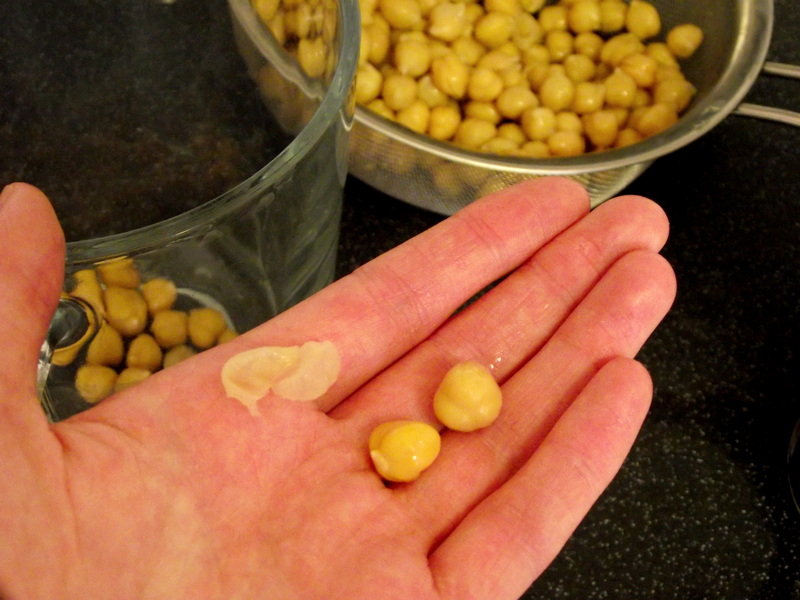 Do his by squeezing them between your thumb and index finger, the chickpea will just pop out and you’ll be left with the slimy little skin. 2. When they’re all peeled, blitz them in a blender until powdery. 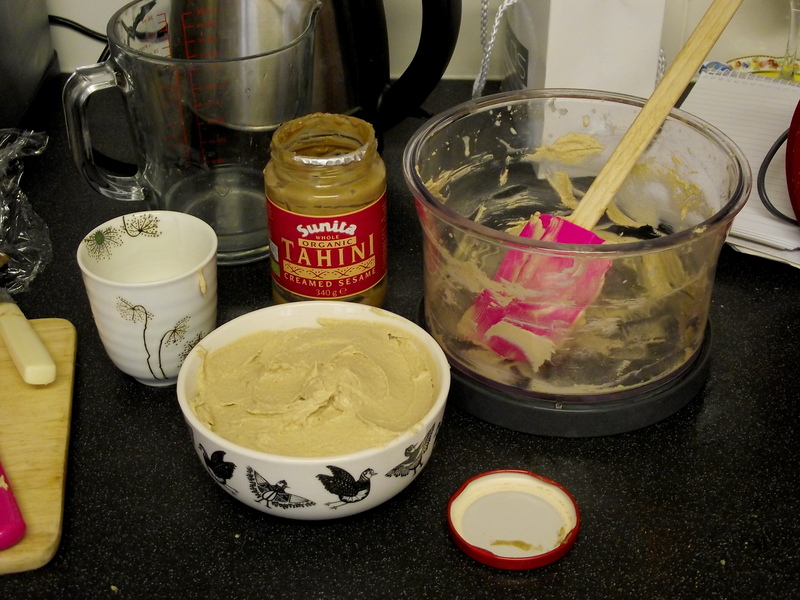 Then add the tahini, lemon juice and garlic and blend to a thick paste. 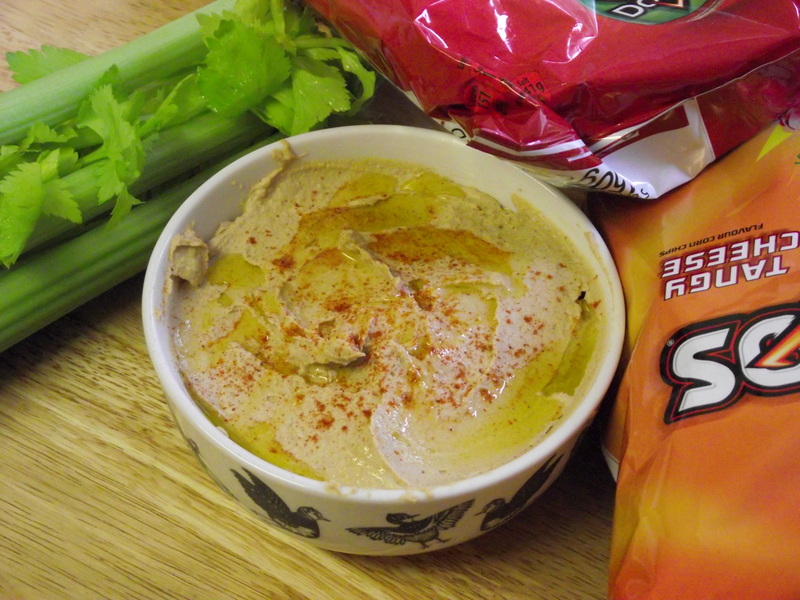 Now add enough water to make a nice smooth hummus – about 4 tbsp or so. 3. Then add salt (quite a bit, at least 1 tsp), paprika and chilli powder to taste. Transfer to a serving bowl and drizzle with olive oil.